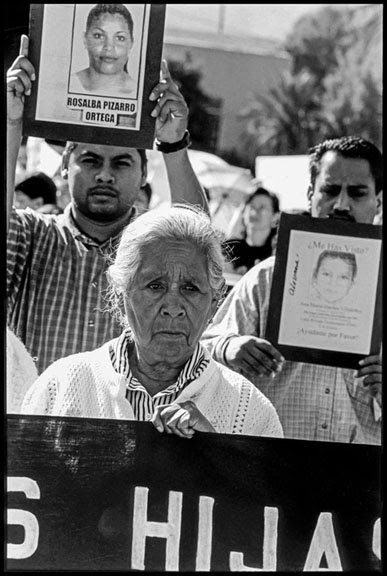 The Maquiladora Workers of Juarez Find Their Voice. 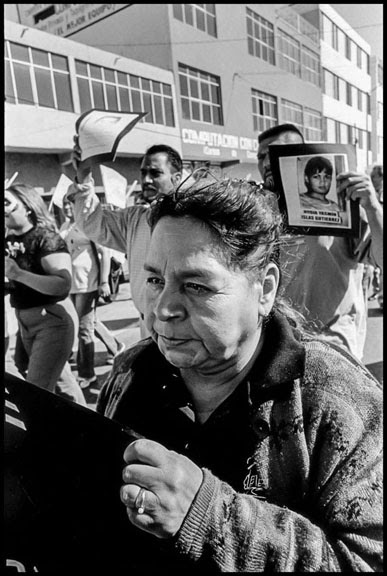 Fermina, the mother of a disappeared maquiladora worker, marched in one of the many protests over the murder of women in Juarez. 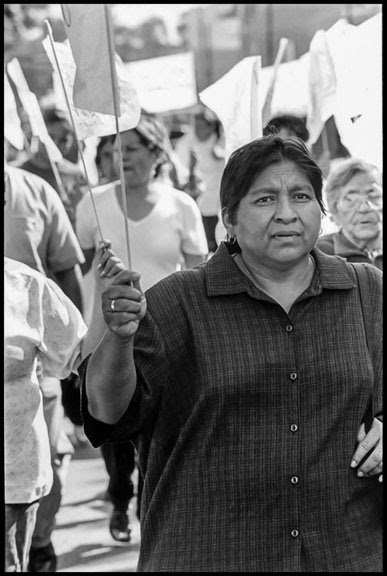 CIUDAD JUAREZ, CHIHUAHUA — After more than a decade of silence, maquiladora workers in Ciudad Juarez have found their voice. The city, just across the Rio Grande from El Paso, Texas, is now the center of a growing rebellion of laborers in the border factories. At the gates to four plants, including a huge 5000-worker Foxconn complex, they have set up encampments, or “plantons,” demanding recognition of independent unions, and protesting firings and reprisals. The Juarez protests come just as Congress gets ready to debate a new trade treaty, the Trans Pacific Partnership, which opponents charge will reproduce the same devastation Mexican workers experienced as a result of the North American Free Trade Agreement. Critics charge NAFTA cemented into place a regime of low wages, labor violations and violence on the border after it took effect in 1994. Today, economic pressure has become so extreme that Juarez’ workers feel they have no choice but to risk their jobs in hope of change. This new workers’ movement began last August. At Foxconn, people started talking in the bathrooms, at lunch and on the lines. Anger over conditions quickly started to rise. Operators on the line there make 650 pesos/week (about $39). A family with kids, according to Serrano, needs 700-800 just for food. A gallon of milk in Juarez costs the same as it does in El Paso, on the other side of the Rio Grande. “Some foremen would tell young women that they had a good body, and demand to go out with them,” Serrano adds. “If they didn’t, they’d call the women lazy or burros or good for nothing. If the women went to Human Relations, the harassment still didn’t stop.” In order to survive, some women were putting in two shifts, back to back, or even working three days straight through. When they protested harassment, overtime was cut off, he says. At CommScope, supervisors charged 50 pesos a week to put someone’s name on the list for overtime, charges Cuauhtemoc Estrada, lawyer for the workers in the plantons. “They felt so humiliated that some would break into tears.” According to Raul Garcia, a CommScope worker, those who protested were sent to a special work area known as “the prison,” or simply, “hell.” Older or slower workers were sent to another, called “the junkyard,” where they were humiliated and ridiculed. On September 16, Mexico’s National Day, a group of 190 CommScope workers went to the local labor authorities, the Conciliation and Arbitration Board, and filed a request for a “registro,” or legal status, for a union. According to Garcia, the new union’s general secretary, the company then started cutting overtime. Some married couples had been working different shifts, so that each could be home to take care of children. Managers reassigned them to the same shift, forcing one to quit. Finally, 171 workers were fired on October 19. The terminated workers then organized a permanent planton at the factory gates. Neither Foxconn nor CommScope responded to interview requests, but Rick Aspan, vice-president of corporate communications for Commscope told Frontera Norte Sur, a news site published at the Center for Latin American and Border Studies at New Mexico State University in Las Cruces, “We terminated fewer than ten people from the facility recently,” for violating company rules. Plantons have now spread to two other maquiladoras – a Lexmark factory making ink cartridges, and an Eaton Corporation auto parts plant. Lexmark workers just filed their own request for a union registro. This insurgent wave threatens the established economic order in one of the main centers of maquiladora production on the border. Even as Mexico continues to feel the impact of the U.S. recession, Juarez still has more than 330 plants employing more than 178,000 workers. By U.S. standards, many are huge. Foxconn’s two factories employ over 11,000 people. CommScope employs 3000, and Lexmark 2800. Companies are attracted to the border because of low wages and lax enforcement of labor and environmental laws. In 2013, the minimum wage in Juarez was less than 65 pesos a day (today about $3.88). At the beginning of the NAFTA era, this low wage system was challenged by several attempts to organize independent unions. In 1993 a partnership between the Mexican labor federation, the Authentic Labor Front (FAT) and the U.S. union, the United Electrical Workers, mounted a campaign at the General Electric factory, Compania Armadora. Workers were fired, but pressure from UE members in U.S. plants forced GE to rehire several of them. Nevertheless, the FAT lost the election that would have given it the right to negotiate a contract. Other worker protests took place in the same period. At Clarostat, a division of Allen Bradley Corp. (now Rockwell Automation) workers tried unsuccessfully to organize to raise wages. When one of them, Alma Molina, was fired and then tried to get a job at a GE plant, a manager told her that her name was on a blacklist. Worker activism of the period was fueled by a wave of birth defects. Between 1988 and 1992, 163 Juarez children were born with anencephaly – without brains – an extremely rare disorder. Health critics charged that the defects were due to exposure to toxic chemicals in the factories or because of their discharges. 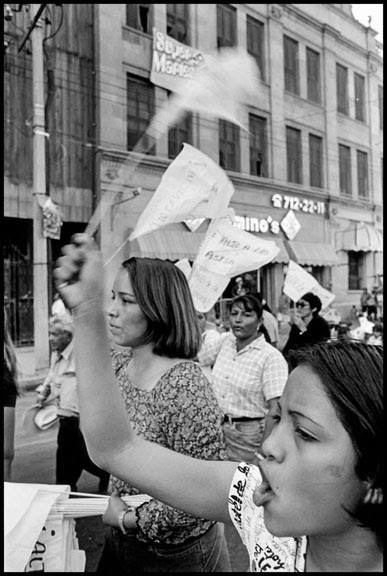 In the mid-1990s Mexican and U.S. unions cooperated in opening a Center for Labor Studies to help educate workers about their rights. It focused on the three factories owned by Lear Industries, which supplies car seats to General Motors. Lear still employs over 7,700 people in Juarez. CETLAC director Guillermina Solis charged at the time that companies didn’t want to hire pregnant women, and even fired women when they become pregnant, in order to avoid government-mandated maternity benefits. Her allegations were supported by the Women’s Rights Project of Human Rights Watch. 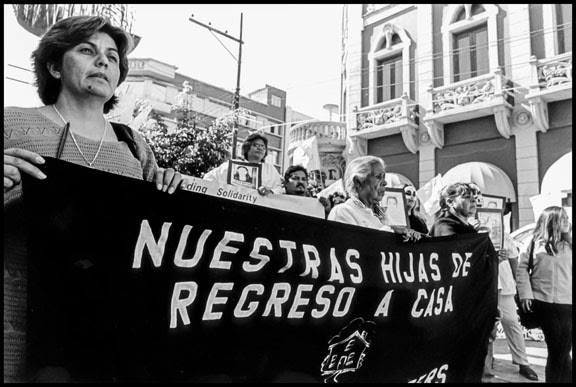 Juarez’ worker activism of the 1990s, however, declined as the city’s women became victims of a notorious series of mass murders that terrorized them for a decade. 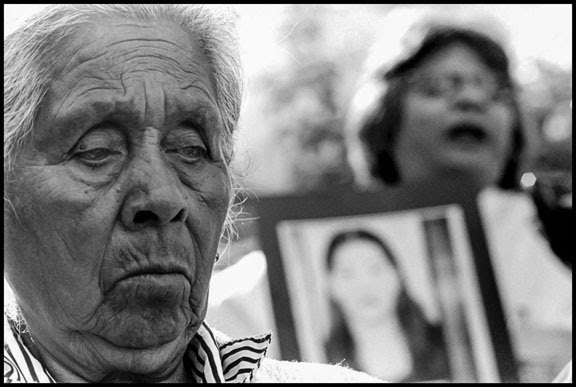 By February 2005 over 370 women had been murdered since 1993. In 2010 alone 247 women were murdered, and between January and August of the following year, another 130. 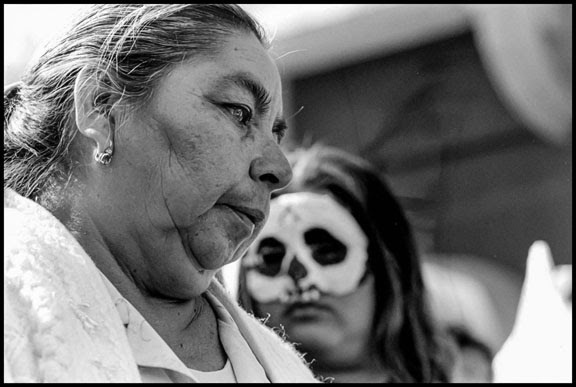 The mothers of Juarez organized despite the terror to fight for the lives of their daughters. They charged that larger social forces are responsible for creating a climate of extreme violence against women. Juarez has become a huge metropolis built on the labor of tens of thousands of young women, overwhelmingly migrants, who have traveled north from cities, small villages, and rural areas in central and southern Mexico. Reposted with the author’s permission. 2015. Previous Funding for Mexican Students. My family is from Chihuahua. Luckily they have never had to experience the above but you shined a light on a problem many don’t know exists. Here is one great way to celebrate Bastille Day in San Francisco. The Joy and Pain of Pursuing Your Dreams. How to Make Ceviche, Mexican Style. Los Muertos Descansan en Paz. Los Vivos Se Mueren de Miedo.